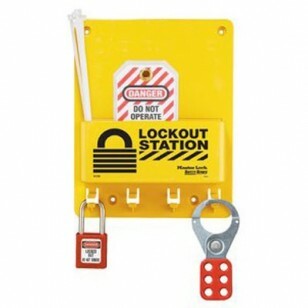 This compact lockout center locates machine specific lockout tagout devices and padlocks near lockout points. Durable polycarbonate construction provides years of use in corrosive environments. 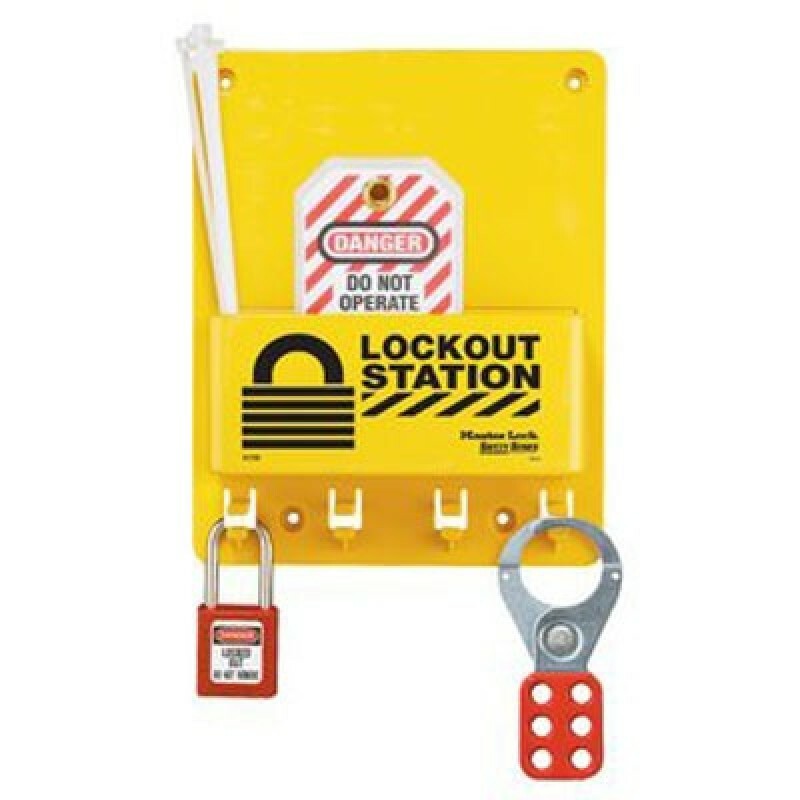 Station has 4 built in hanger clips to hold safety padlocks or hasps.